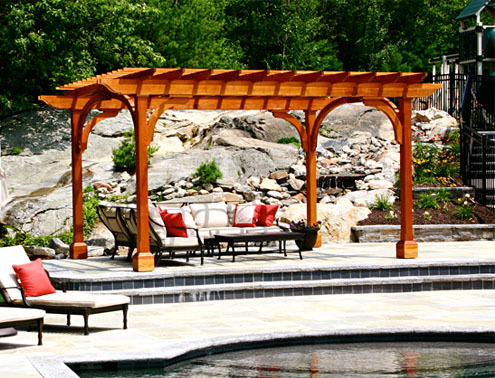 This pergola structure provides a respite from the sun, while creating an architectural accent on a large expanse of patio by a pool. The primary design element is the keystoned arch that ties into the end rafters contributing to the lateral stability. At the base of each post is a plinth covering that can be used to hide attachment brackets. 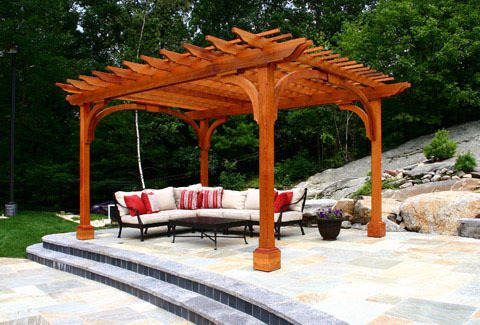 The pergola has been stained a natural cedar color using an oil based semi-transparent stain.